Finally, the 100 dealerships of Jawa Motorcycles will be launched this week. The manufacturer plans to have 105 dealerships across the country. Jawa Motorcycles made a comeback in India in November last year. The dealerships started opening by the first week of December, which were scheduled to be open across the country by March 2019. Recently, the company tweeted that the next set of dealerships are coming up in Tirupati, Hubli, Jamshedpur and Tinsukia. These will take the dealership mark across 100, over the country. The first showroom came up in Pune, followed by Bangalore, Hyderabad and Delhi. In 4 months, Classic Legends managed to open all the dealerships. There will be 105 dealerships in total. As the dealership process is still going, the delivery process has also commenced. The first set of deliveries were out by the end of March. The second set is expected to commence by the next week. Till now, buyers who had booked their Jawa Motorcycles prior to the launch date have got their bikes. People who booked the bikes on 15th March, will get it by this month. The next batch will commence in the first half of May. Recently, Classic Legends revealed the ARAI-claimed fuel economy of the bikes. With the claimed mileage of 37.5 kmpl, the real world figures could go down to nearly 31-32 kmpl. Jawa and Jawa Fotty Two use a 293cc liquid-cooled BS-6 engine, that produces 27 BHP and 32 Nm of peak torque. The motor comes mated to a 6-speed gearbox. Now, both the bikes are available with dual-disc brakes and dual-channel ABS. At the time of the launch, it came with single-ABS only. Suspension duties are handled by telescopic forks at the front and twin shock absorbers at the back. Jawa Perak is still left to be launched, however its prices have been revealed. It is a factory-custom Bobber, priced at Rs 1.89 Lakhs (ex-showroom). The prices of Jawa start off at Rs 1.64 Lakhs to Rs 1.73 Lakhs. 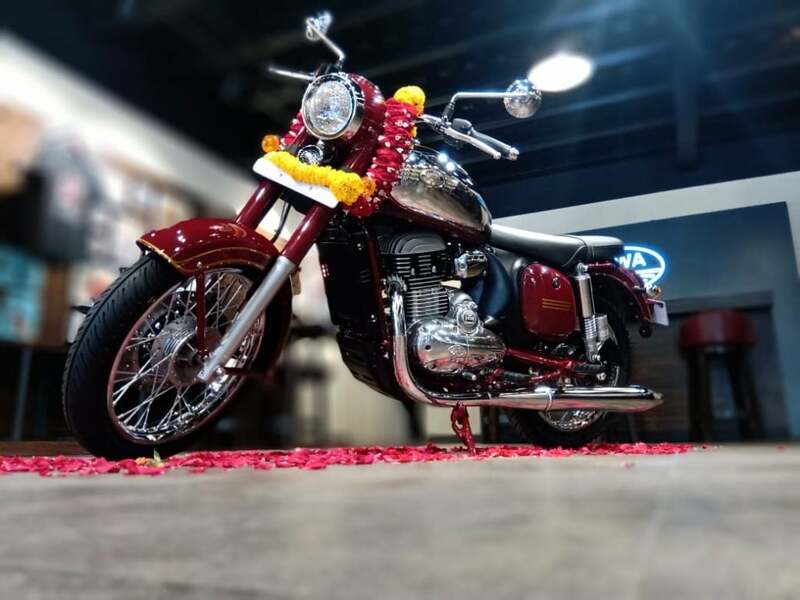 Jawa Forty-Two ranges from Rs 1.55 Lakhs to Rs 1.64 Lakhs (prices ex-showroom).